and I've tried apt update, apt dist-upgrade and apt autoremove, without success. 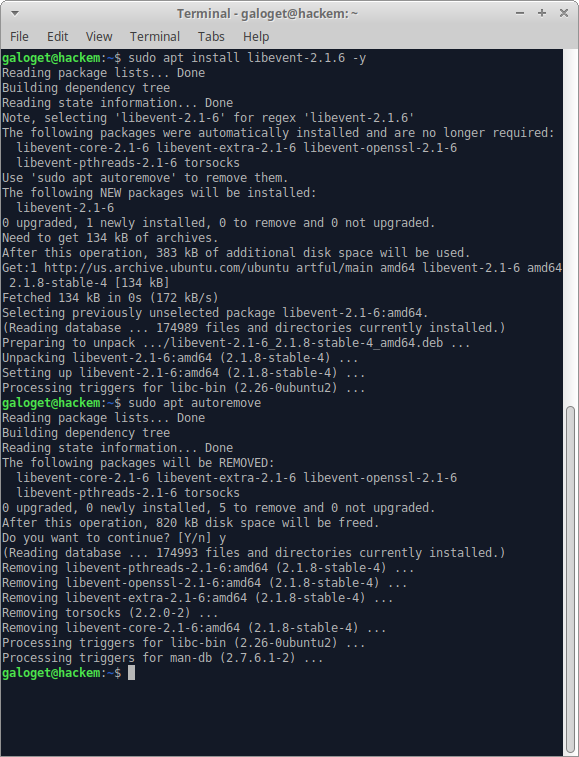 How can I install the required version of libevent? 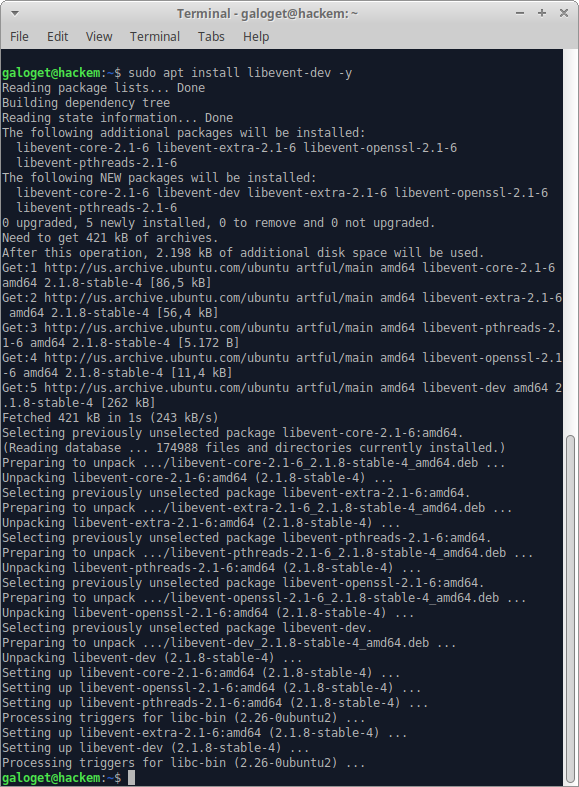 libevent-2.1-6 is already the newest version (2.1.8-stable-4). 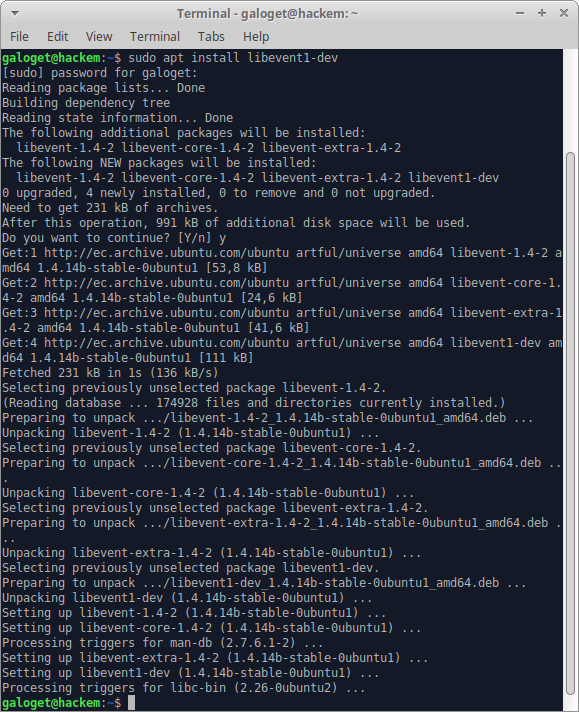 sudo apt install libevent-dev # This library is required for the libevent-2.1.6, Xubuntu 17.10 already comes with this version of libevent. 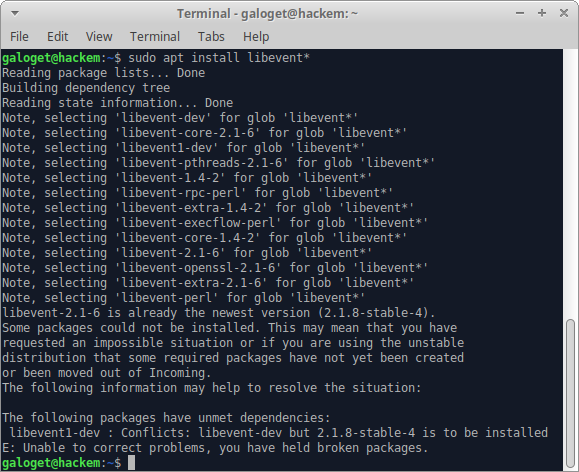 sudo apt install libevent1-dev # This library is required for the libevent-1.4-2, but Xubuntu 17.10 already comes with libevent-2.1.6 so that is the cause of the conflict. I suggest you to install it, just if you really need it, otherwise, use the latest version. 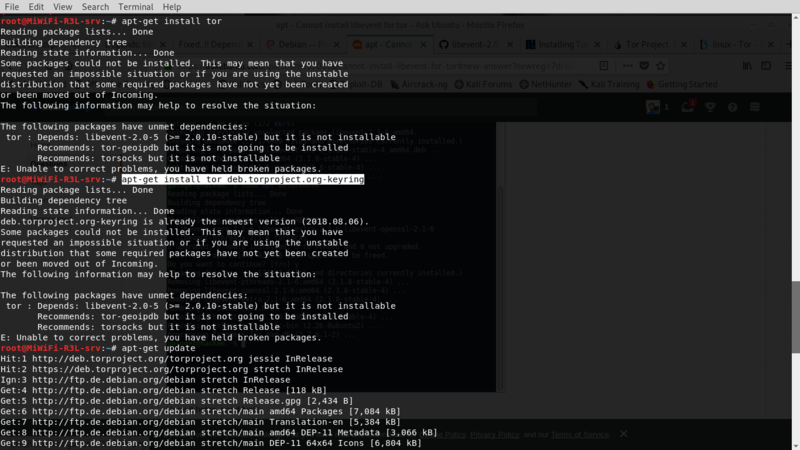 These commands will install dependencies one by one in a separate way, avoiding the conflict, because if you use sudo apt install libevent*, that command is the cause of the error message, see the image below. You're trying to install two versions of the same library at the same time. After executing those commands, I didn't get any errors and the dependencies are now correctly installed. 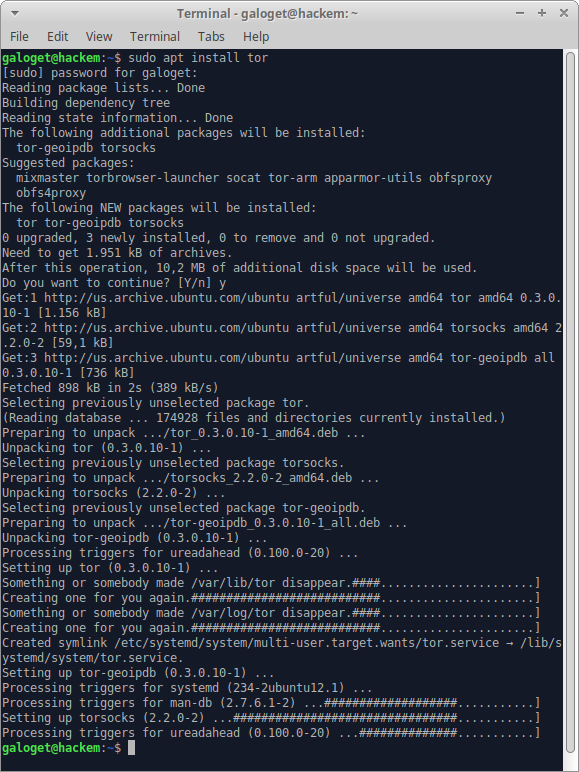 Finally, if you want, you can execute sudo apt autoremove, to delete the unnecesary packages. I encountered the same issue installing tor on ubuntu 17.10. It turned out to be the problem with apt repository version. I had the repo for 16.04(Xenial) instead of 17.10(Artful) in my /etc/apt/source.list, after corrected it, everything works fine. You may want to double check that. Not the answer you're looking for? Browse other questions tagged apt xubuntu tor or ask your own question.